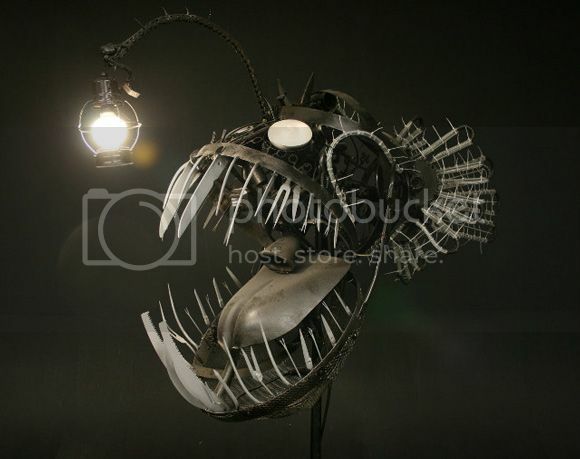 Before you go on and say how beautiful this Angler Fish Lamp made of scrap metal parts is, you might want to know that it costs a whopping USD 8,000. Yes, that's an 8 with three zeroes behind it. I could probably redecorate my whole house with that kind of money not to mention the shipping cost that goes with ordering it. All I can do is just say how great it is on the image you see above because I probably can't afford to see it in my living room. Go ahead and check the source link below if you have that kind of disposable income.